The 14kt white gold Cupid promise ring is distinguished by two joined hearts. 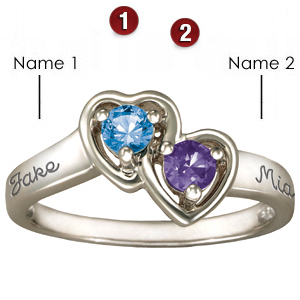 The ring has two 3.5mm round genuine birthstones. Engrave up to 10 characters in each of two engraving areas. Import.